I don't know what it is, but lately I have just been all about the vamp. Fall has officially started so I needed a nail color to reflect just that. As the darkest shade in the Covergirl XL nail gel collection, Bodacious Berry just stood out to me as being just the gorgeous purple I was looking for. I knew I wanted to wear purple this week so I lined up a few of my top purple picks. Bodacious Berry popped out of the bunch because it has a rich color with the darkness I was looking for without looking black, which I love because it's likely to look great with a variety of outfits. Here I used a base of OPI Nail Envy, 2 coats of Covergirl Bodacious Berry (this has really amazing coverage just like the rest of the XL Nail Gels I've tried) and Seche Vite top coat to give it extra shine and protection. The one huge fault I found with this bottle was that the brush had a splayed chunk of brush hairs pointing upward which I had to snip off. I'm not talking about one or two hairs, it was a nice messy group. Once cut the polish applied quite smoothly and easily. 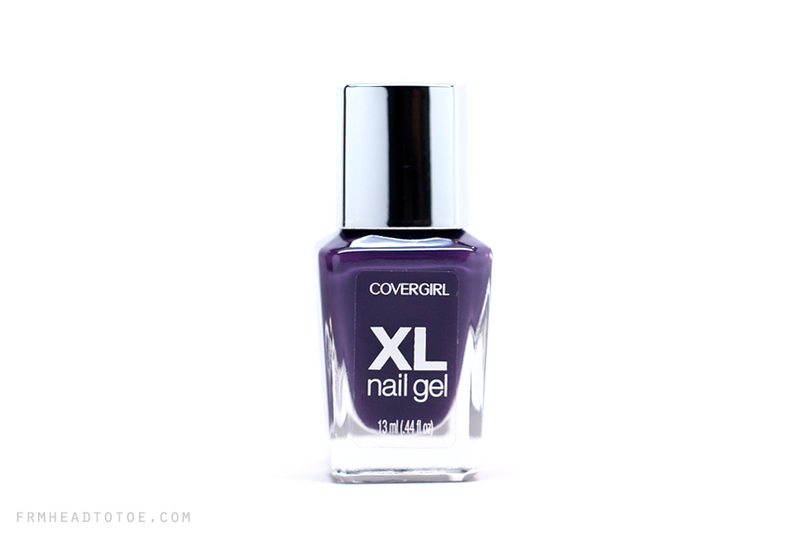 Overall, it's another winner from the XL line and I highly recommend it if you are looking for a clean, dark purple to amp up your fall nail wardrobe. Readers, do you have any nail colors in mind for this fall? 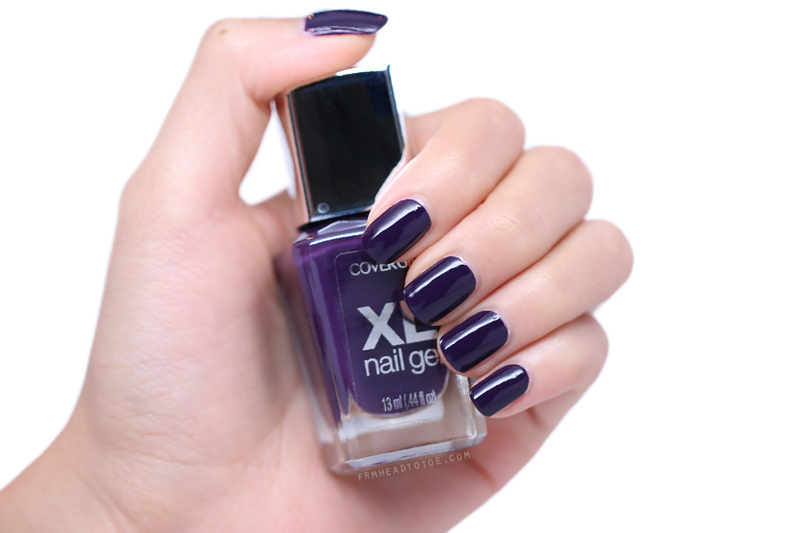 What's your favorite purple polish? Let me know in the comments! I have an obsession with gel polishes. They just last so much longer! Love this color on you! Ahh, this is my kind of purple! The boldness is perfect for fall..and I have yet to try any polishes from this line yet..fail. haha, but I'm loving wine colors for fall like Revlon's Parfumerie in Bordeaux, navy blue colors like Julep's Char and then those military green colors like OPI's Uh-oh Roll Down the Window! Such a great colour, I love a dark vampy blue so this is ideal for Autumn. Just reading your questions just made me realize that I don't own any purple nail polish... how sad is that and its such a pretty color too lol. But that color I must have! I'm currently into dark colors since I feel so badass with them on! Oooh you definitely need a purple in your collection! Get it gurl! I need a manicure for fall. I want to go with a deep burgundy color.